With Your Chamber and Our Members! 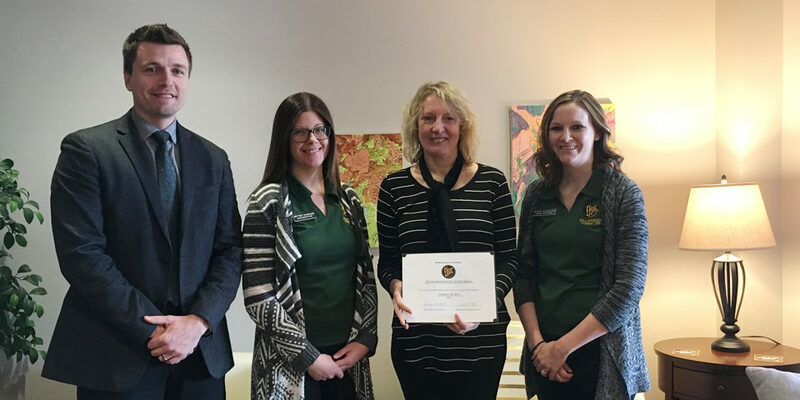 There’s a new women’s group in New Ulm, and the Willkommen Committee met with them to learn more and to welcome them as new members of the New Ulm Area Chamber of Commerce. 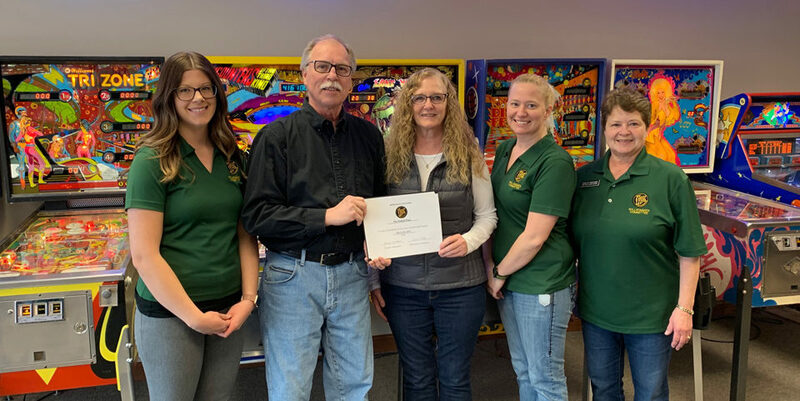 On 8th North and Broadway, many of the Willkommen Committee got their first glimpse of the inside of a new attraction to New Ulm, The Pinball Place owned by John and Phyllis Vorweck. 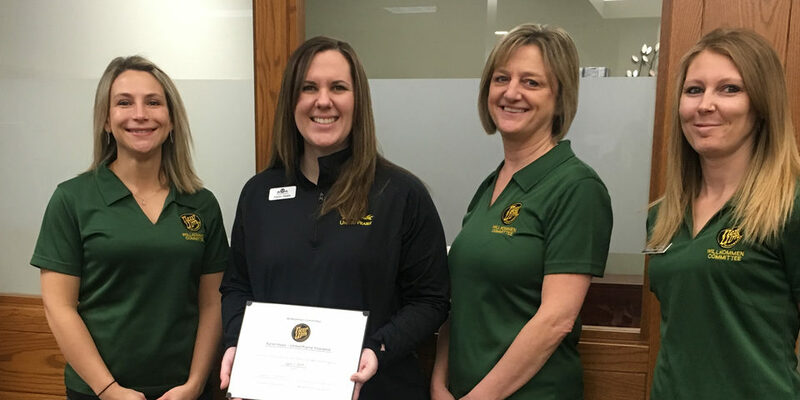 The Willkommen Committee of the New Ulm Area Chamber of Commerce stopped at United Prairie Bank to welcome Karen Haala as the new United Prairie Insurance Agent. Turner Hall has recently remodeled the bar in the downstairs Heritage Room, and the Willkommen Committee stopped by to see it. 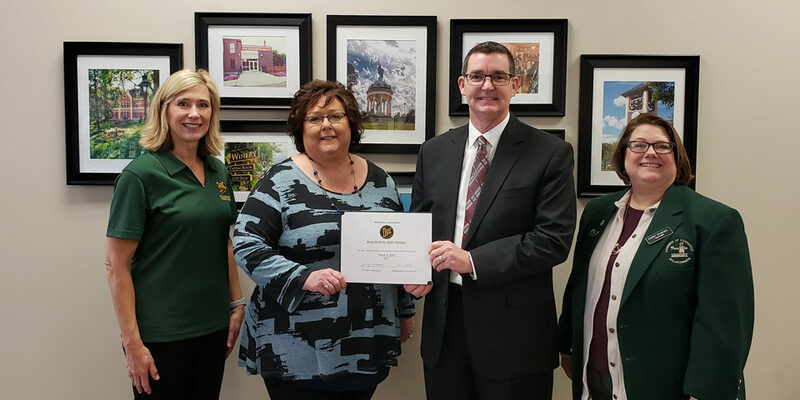 Bruce McKirdy is the new General Manager at Radio Mankato, and the Willkommen Committee of the New Ulm Area Chamber of Commerce met with him to congratulate him. They also wanted to learn more about the format change for 100.5 FM. 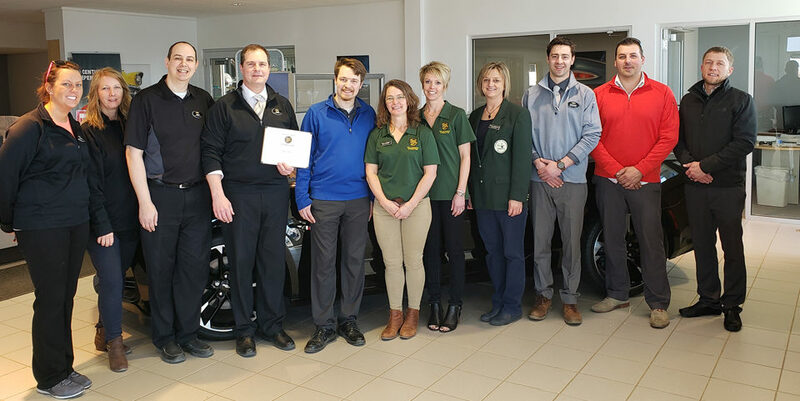 The Willkommen Committee of the New Ulm Area Chamber of Commerce recently stopped by Weelborg Chevrolet to congratulate them on the name change. 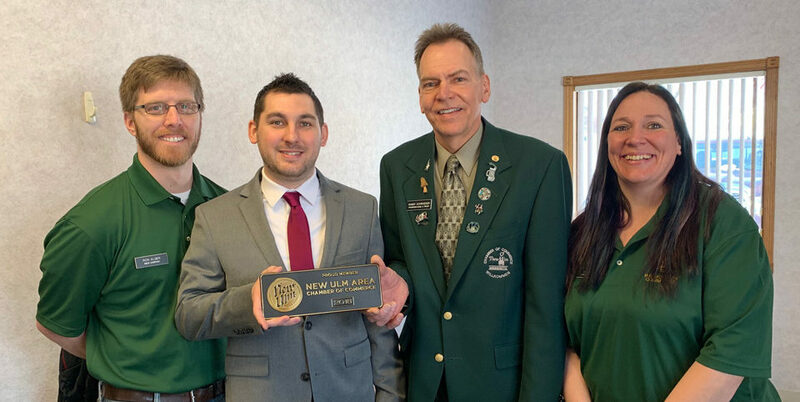 The Willkommen Committee of the New Ulm Area Chamber of Commerce recently stopped at Bank Midwest to welcome Randy Reinarts as senior agriculture & commercial lender! The Willkommen Committee of the New Ulm Area Chamber of Commerce stopped at the The Grand Center for Arts & Culture to check out their recent remodeling of the third floor apartment and the basement area. 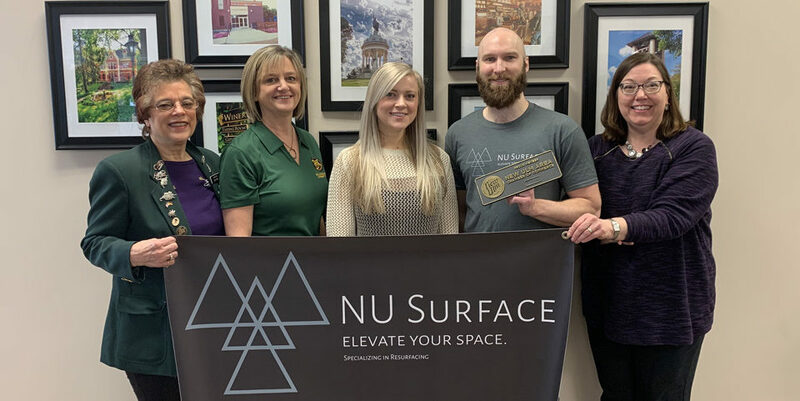 There’s a new business in town - NU Surface, and the Willkommen Committee recently met with Benjamin Schoo & his wife Sara to learn more and welcome them as new chamber members. Welcome to Nick Metzker, new agent at the Preferred Insurance! Nick and his father-in-law, Doug Bode recently became new Chamber Members, too!